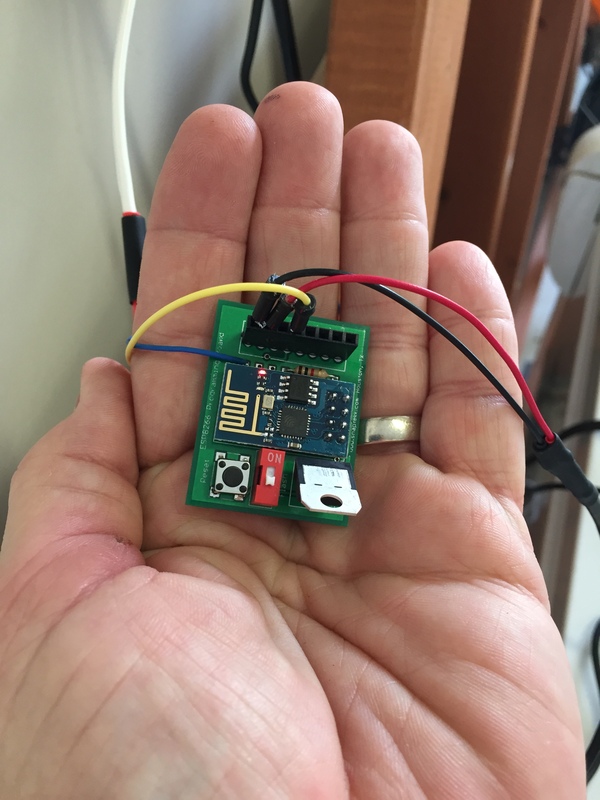 I had a request from a customer to add GPS capabilities to a reed sensor so the deployment of the sensors can be tracked on a map. It is pretty straight forward to integrate a GPS module like the U-Blox NEO-6M module. The caviat here is that the connection needs to be made via TX/RX serial, which makes it a bit trickier, but nevertheless straightforward. The output is sent as a JSON string that contains GPS coordinates and satellite info. I have tinkered with mostly every sensor I got a hold of and now I found a pretty cheap distance sensor. 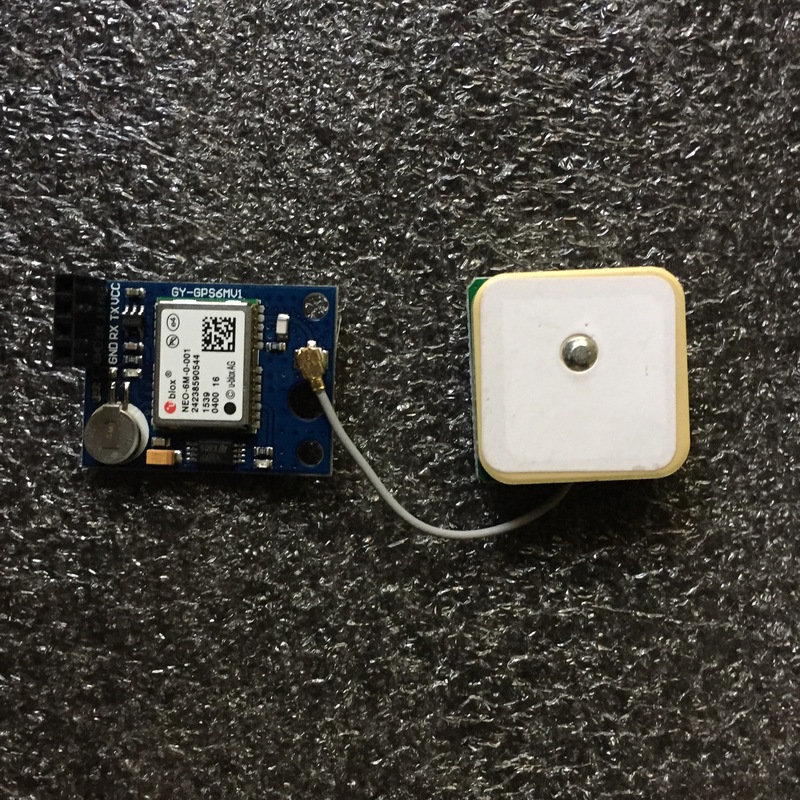 I decided to integrate it with the ESP8266 and get some distance measurements via WiFi. It is very easy to integrate, just set the ESP to send a trigger signal, wait a few milliseconds, and receive the echo signal. The delay is proportional to the distance. My implementation returns the distance in meters as a floating point number (actually it will be a string as it returns it via TCP). The module measures the distance at a heartbeat rate which is configurable and sends the value to a server and port which is also configurable. The server and port is configured up front while the heartbeat can be changed at any time by sending a TCP message to the board. I started playing with electronics back when I was 10 years old in Argentina, where I grew up. Then I got my ham radio operator license when I was 16 years old and I was very active in the ham club and on the air. It was then when I built my first vacuum tube transmitter and refurbished and old receiver (also vacuum tubes) that somebody from the club was throwing away. My interest for science and electronics grew and I ended studying physics but always tinkered with electronics, whenever I could. I’ve moved a lot around the world for work (oil and gas) so my dedication to ham radio pretty much faded away. But it came back! Just recently, I got my ham radio operator license back and started to get active on 2mtr and on digital. Due to lack of space outdoors, I had to settle for installing my center fed dipole on the attic (I have a long attic), but I quickly realized I needed more than 1 antenna. 80 mtr, 40 mtr, 20mtr…. And I didn’t want to run multiple lines to the attic, so an antenna switch was necessary. I bought a 4 position manual antenna switch and very quickly realized (again) that I did not want to go up and down the stairs with kids and wife sleeping to switch the antenna. And more importantly, I did not want to run another set of cables to drive a wired remote controlled one. Wireless was the solution. 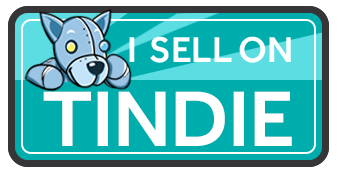 I checked the prices, and they were outside of my budget for a switch. So, what’s next? I came up with an idea. Get a RaspberryPi and add a relay board and then I have my WIFI wireless relay control. Add some UHF female SO-239s and we have a WIFI Antenna Switch. Well, two problems with this, first it is really clunky connecting all those coaxial cables to the relays and there would be a lot of signal loss (and good luck tuning that), its bulky and pretty difficult to assemble in one unit and that would not work properly; second, it was more expensive than I expected, even DIY it was around 100 dollars. I built it anyway and, well it worked for a while. But I was not happy so I looked around and came up with a better idea (or so I thought!). I found the ESP8266, a WIFI module which is small, cheap, I mean 3-dollars-cheap and fully programmable. Combining this module with a standard relay switch design, I thought I had a solution for way under 100.00 dollars integrated all in one single PCB board, suitable for mounting on a proper box. Lets look at the design. 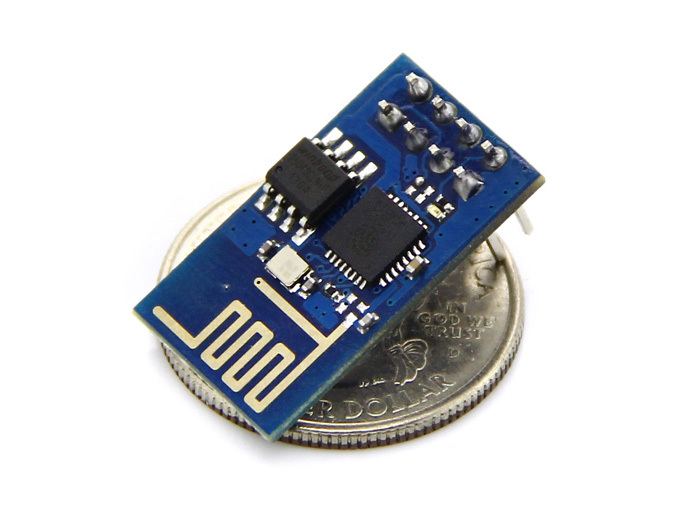 The ESP8266 is a very small WIFI enabled microcontroller. It can be programmed in C by flashing it with the manufacturer’s (Espressif) software development kit (SDK). But it can also be programmed in LUA using the NodeMCU SDK (open source, just Google it or go to GitHub). LUA is a scripting language used widely in the gaming industry and I picked it to program the ESP8266 because of being compact, very high level and allowed rapid prototyping. The ESP8266 acts as an access point and/or a WIFI station, so once it is configured it acquires an IP address and then you can communicate with it via a web browser or a TCP connection (phone, tablet, computer, etc). The ESP8266-01 used in this project, has 2 GPIOs, GPIO0 and GPIO2, meaning that we can program the module so it can read and write stuff on these GPIOs. The ‘stuff’ is simply digital signals, a 0 or a 1, or in volts, a few millivolts or 3.3 volts. 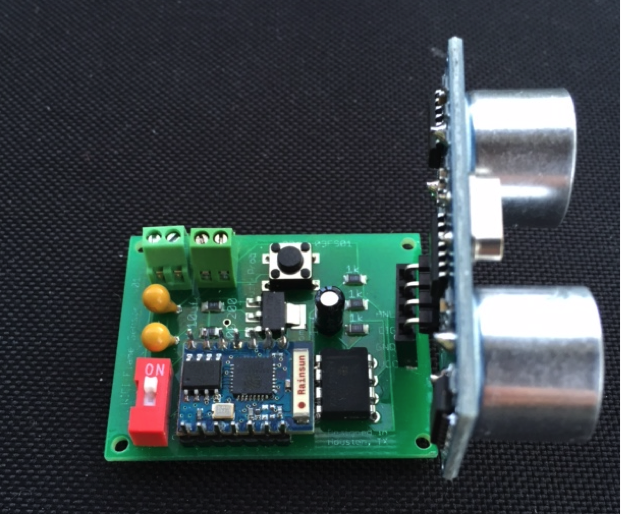 This is perfect to drive LEDs or relays and make them open or close according to some logic and control either running on the module or instructed via a web or TCP server. The module features a serial interface so you can communicate with it to program it. There is plenty of material out there to get anyone going with this little wonder. The key things to know is that you will need a USB to serial module to initially talk to the ESP8266, be familiar with serial communication and able to do some script programming. For USB to serial, any FTDI232 based module will pretty much work, but be careful as they are counterfeit FTDI232 that can render useless, make sure whatever you get is genuine. Then you need to choose a serial terminal to send commands to the serial module that will send commands to the ESP8266. Something like CoolTerm or SSCOM32 would do the job. I use CoolTerm mostly on the Mac. Also, when you start copying LUA code into the module, CoolTerm does a great job. 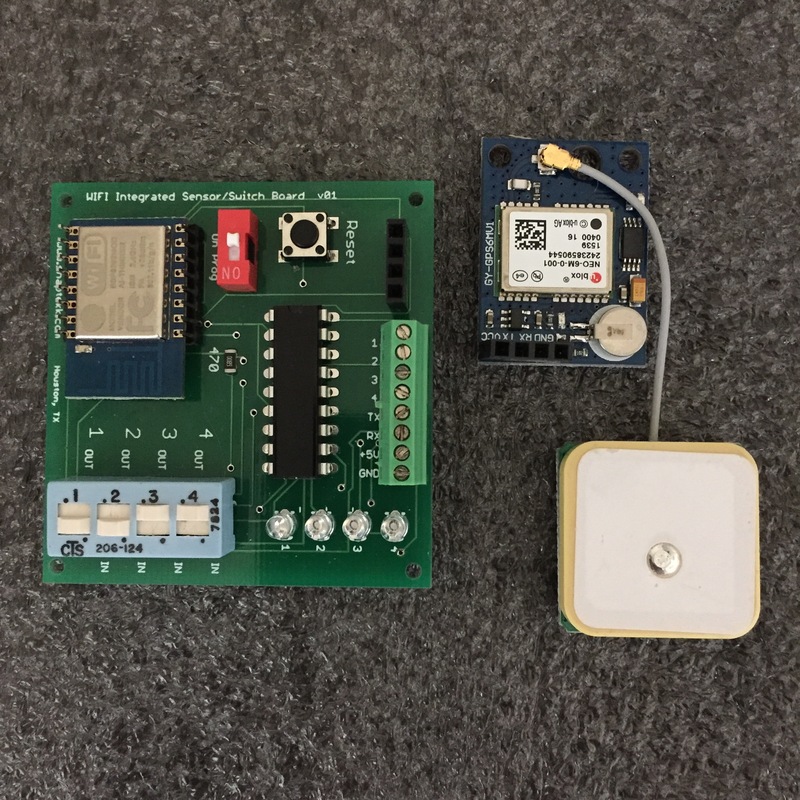 With this brief introduction to the ESP8266, you can have a lot of fun prototyping all kinds of interesting WIFI projects. I looked a several relay types, and for this first version of the switch, I estimated going with something on the lower power side would be a wise choice, something that could handle 100-300 Watts. 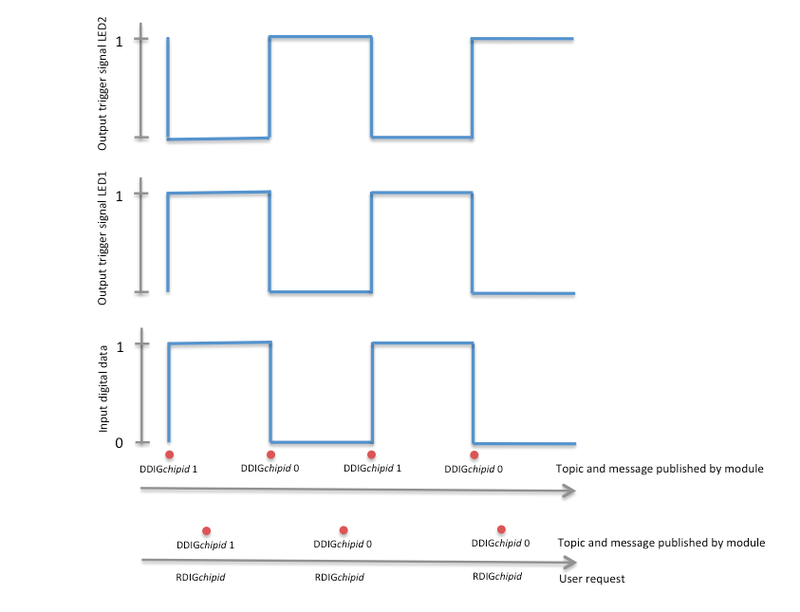 There is plenty of time to improve the design and make it robust for high power transmitters. I started with a 4 position switch, so I needed to drive 4 low power, low current relays. The ESP8266 has 2 GPIOs (general purpose IO), GPIO0 and GPIO2, but just 2 GPIOs, were not going to be able to drive 4 relays, I needed some logic. I decided to go with the 74HC238, a 3-to-8 line decoder. I just needed a 2-to-4 line decoder but since I had a bunch of these, lets use them, and connect the unused input line to ground. The ESP8266 GPIOs were going to feed the 74HC238 and provide the logic to switch the outputs, then these outputs will drive a Darlington power driver like the ULN2803. To make it safer, I decided to split the 8 ULN2803 outputs into 2 groups of 4, one group feeding the relays, the other the LEDs. Figure 1 shows the desired truth table for the GPIOs and the Relays. Now to achieve this logic, I connected GPIO0 to input A0 of the 74HC238 and GPIO2 to input A1. As mentioned above, A2 is connected to ground. 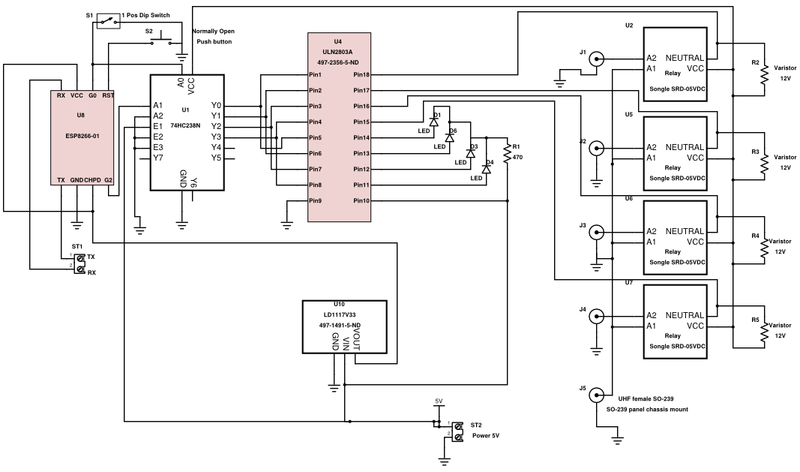 This arrangement provides me with the correct output logic from the 74HC238 which I can now connect to the ULN2803. The cool thing here is that at all times, only one output is active, which is what we want when switching antennas. We don’t want 2 antennas connected to the transceiver at the same time! Or do we? To make convenient I added a reset push button switch and a flash switch, in case I needed to reset the board for whatever reason, or flash it if I had new firmware. 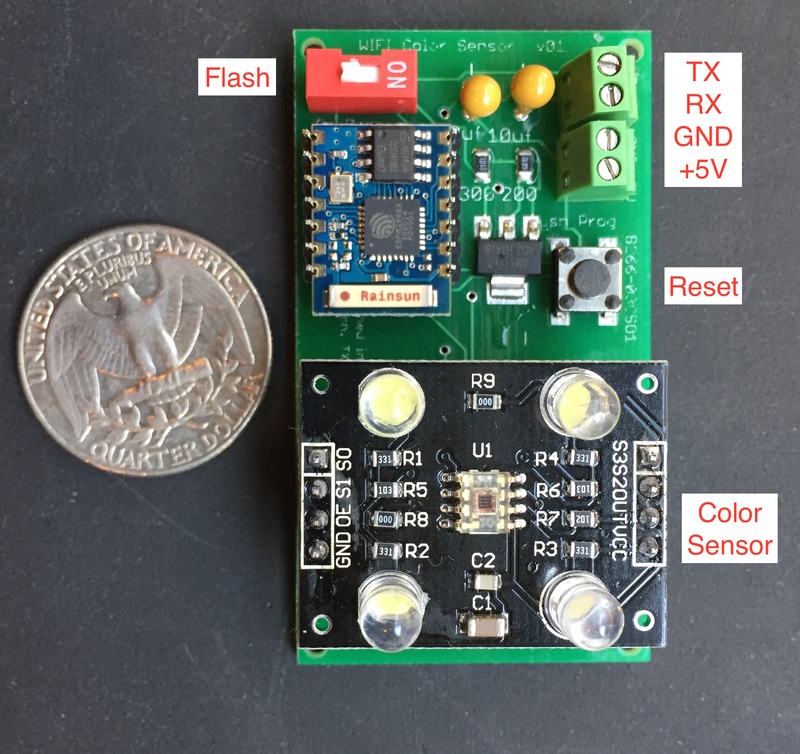 The ESP8266-01 requires 3.3 V, and no more. The rest of the board need 5V, so I needed an LM1117 3.3V regulator to bring the voltage down and keep it stable. 4 LEDs indicate which antenna is active and 4 relays do the switching as instructed by the ESP8266 and the logic circuitry. The input and output connectors are standard panel mount UHF female SO-239. For safety, I included varistors at the feed point of the relays. I programmed the ESP8266 so it can be configured via a web browser to connect to the WIFI router. Once configured, the module acquires an IP address and then I can communicate via TCP protocol. 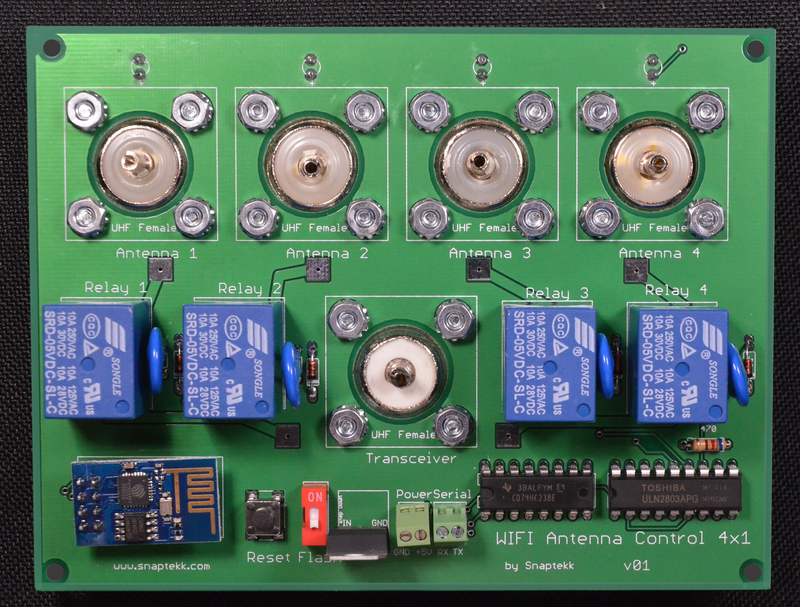 The module responds to the simple commands 1, 2, 3, 4 to switch between the antennas. TCP commands can be sent from a laptop or computer using a simple utility written in Python, for example. If using a mobile device, there are apps that send and receive TCP commands. 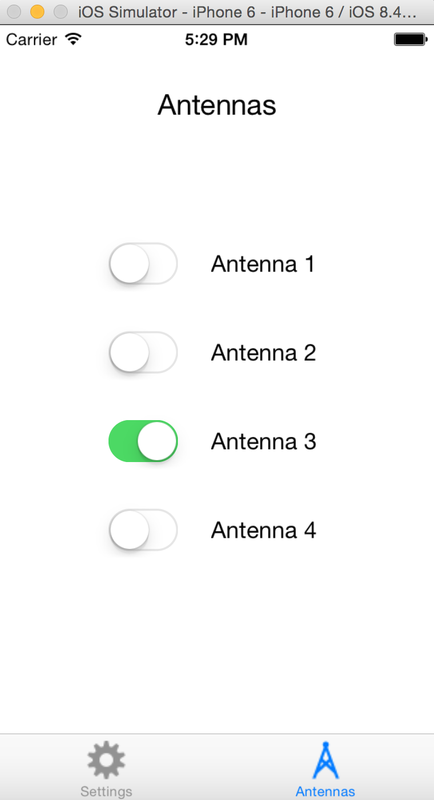 But better yet, I went ahead and wrote an iPhone app that specifically pairs nicely with the antenna switch. Figure 2 shows a screen dump of the app (which should be available for free on the Apple app store under AntennaSwitch). Figures 3a and 3b show the final PCB board and components. 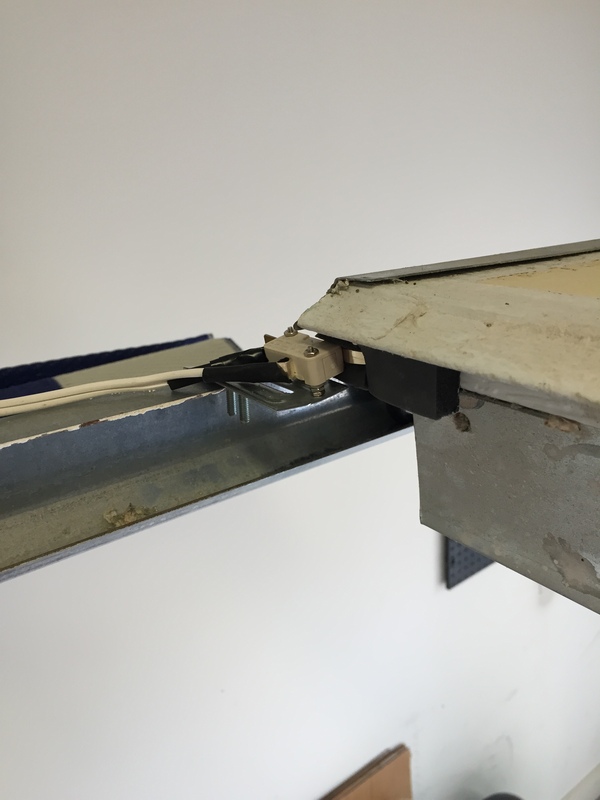 The finished board can be easily mounted in a metal box for safety and convenience. It only requires a 5 VDC small supply (250 ma). Figure 4 shows the schematic of the switch. 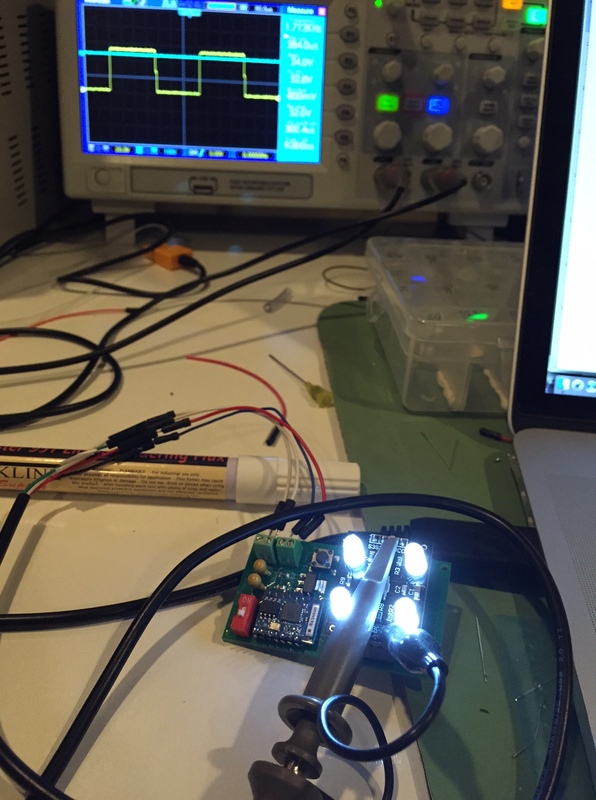 I was impressed of the performance and flexibility that the ESP8266 brings. Its small and extremely powerful and if you are interested in the Internet of Things (IoT), this module will allow you to hit the ground running. Being so small and modular it allowed me to integrate the UHF connectors, the relays, the logic circuits and the WIFI module all in one board that is 3 ¼ by 5 inches and can be easily mounted on any box. Increase the power handling to 1kW or more. 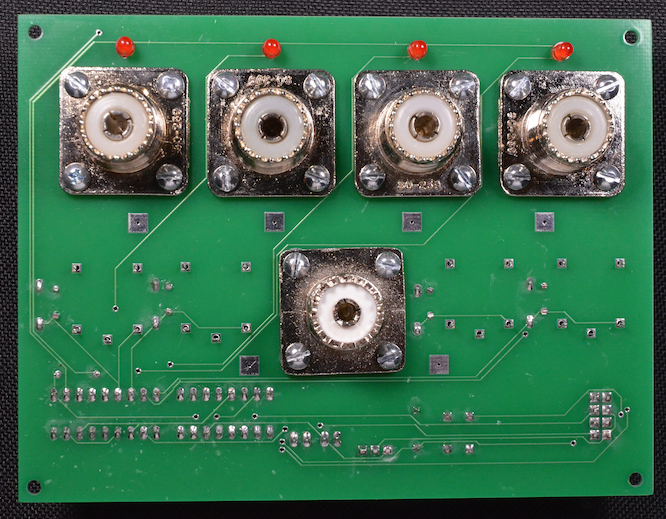 The PCB board will have to be upgraded to handle this and I will need to find the right relays. Build a 6×1 or even 8×1 switch. Although 2 of the 4×1 can be easily combined, I think a compact 8×1 would be really nice. Our garage faces the alley and it is not unusual to hear of people leaving the garage door open and get stuff stolen. The trade offs of leaving inside the loop in Houston as it is for any large city in the world (even Oslo). 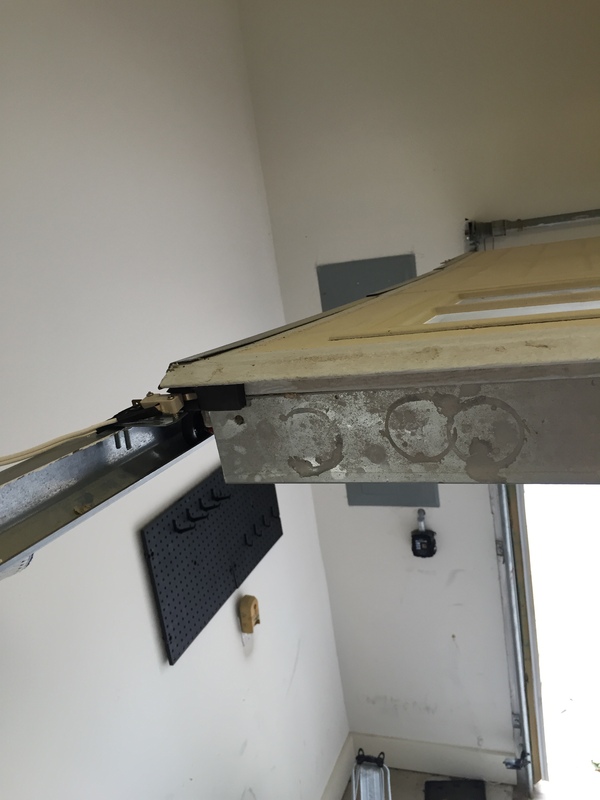 Now it has been 3 times that we forget the garage door open, and this last time we left it overnight! Lucky us, the garage was intact and this is unusual, more than 8 hours open and nothing taken, more than unusual I’ll classify it as miracle. 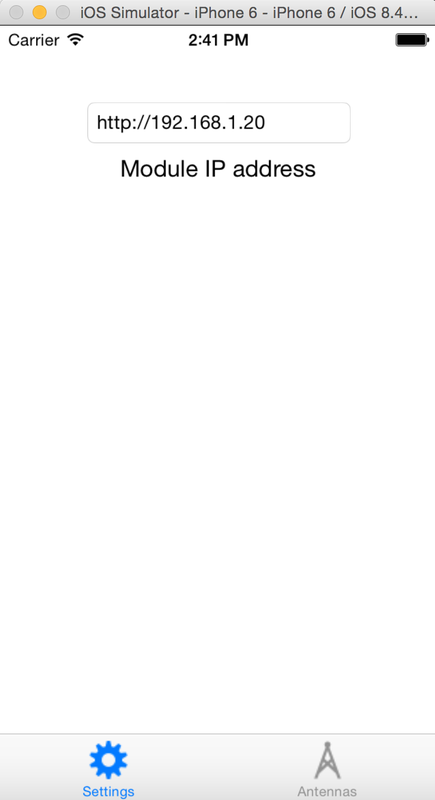 Anyway, I needed to do something about it so I thought of using one of the ESP8266 modules and add an email service in it, but ultimately send SMS messages to me and my wife. It is a simple mechanism. 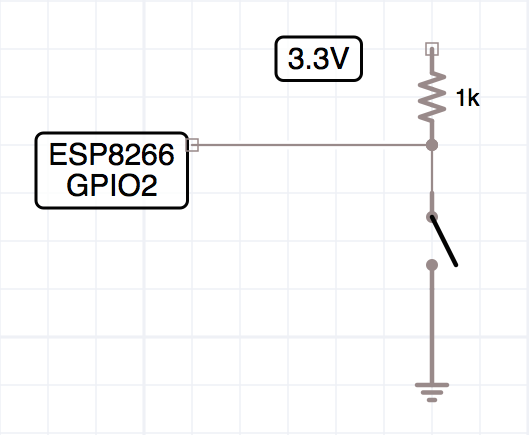 I pulled a 1k resistor to 3.3 V on the GPIO2 of the ESP8266 and a switch to ground. When the switch is open, there is voltage in the GPIO2 so its state is 1, when the switch closes, it sends the GIPO2 to ground, voltage is 0, state is 0. If switch closes, wait a number of minutes (typically lets say 5 minutes) before sending a text message. If switch opens before the 5 minutes are passed, do nothing, the door has just been normally opened and closed. The previous implementation of the WIFI color detection was done with an ad-hoc messaging system. 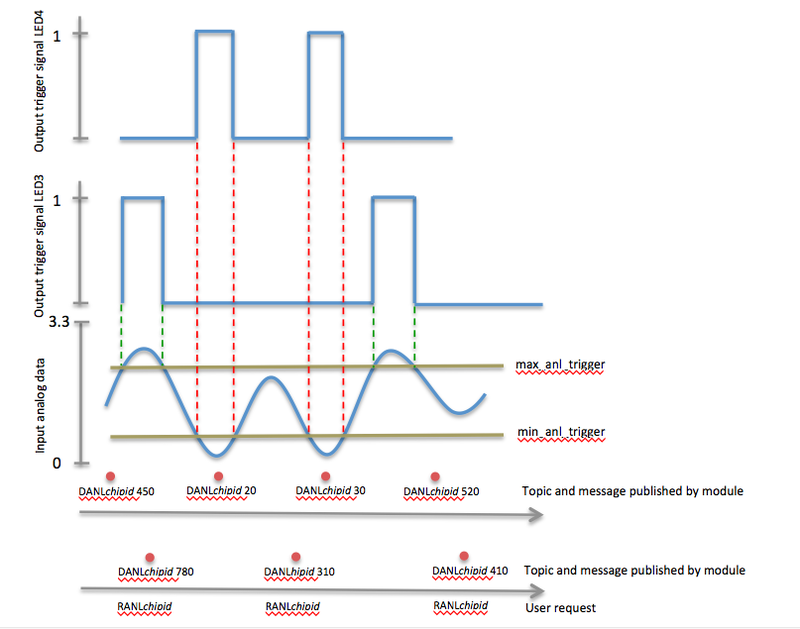 Now, the most bang for the buck would be to have MQTT integrated, as it is much more flexible in terms of the message format and content. I got the color detection, which involves frequency decoding of each of the filtered signals for R,G,B and no-filter, and MQTT working like a charm. The reading of the color components is done via a TCP request to the board. The reading returns a frequency in KHz proportional to the intensity of the color. The frequencies in KHz are returned in a JSON string. The value of the intensity for all colors is also returned. Percentage components of color can be calculated from the frequency readings as these are proportional to the color intensity. each number representing a frequency in KHz proportional to the intensity of the light for red, green, blue and unfiltered (all). each number representing a percentage of the intensity of the light for red, green, blue. This might seem stupid, but given the memory issues on the LUA API, this at least works nicely. Lets see in I can squeeze in MQTT.